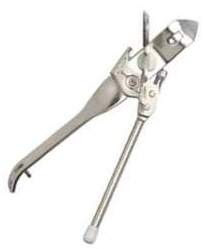 The Can Opener Boy Translations: PHOOMP! one sweaty finger at a time, does it? with fervor and finesse as hard and as fast as he can away from himself. HURL them at Him full force!!! 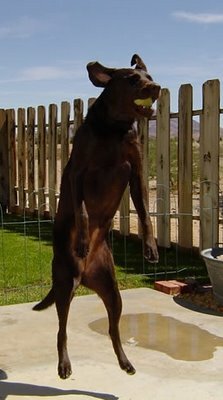 My sister JoAnn has a labrador that loves to catch and to play fetch. They have taught their dog to catch a ball thrown right at her face--HARD--at close range. "Loose-E" is amazing...she doesn't flinch. She stands at attention, pops open her mouth at just the last second and PHOOMP--she's got the ball. It's scary to watch. It's scary to throw (ask Craig!) but Loose E is ready to catch over and over and over again. That's how it is with our burdens. It's scary to let go--to CAST them on God full force. In our pride, we want to show others our burdens "look what I'm carrying......."
In our fear, we want to take them apart in manageable pieces, gently coaxing them out of our hands. It might hurt to hurl them. BUT GOD DOESN'T FLINCH...He wants them. He's ready again and again and again. CAST them FULL FORCE at Him. 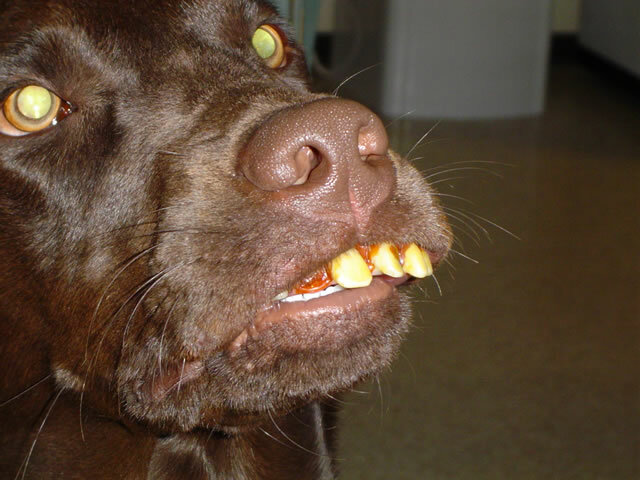 But I am disturbed that anyone would buy those novelty shop "hillbilly teeth" for a dog.